Previously, we have talked about nano-drones that can repair arteries to prevent heart attacks and graphene compounds that can mitigate cancerous cells. This time around, the scope is more ‘direct’ in nature – with scientists devising a technology that can heal burn wounds more quickly. The collaborative effort from Mexico’s Autonomous University of the State of Morelos (UAEM) and the Scientific Research Centre of Yucatan has yielded a special dressing named ‘Epiderm-pro’ that consists of cultured skin cells. 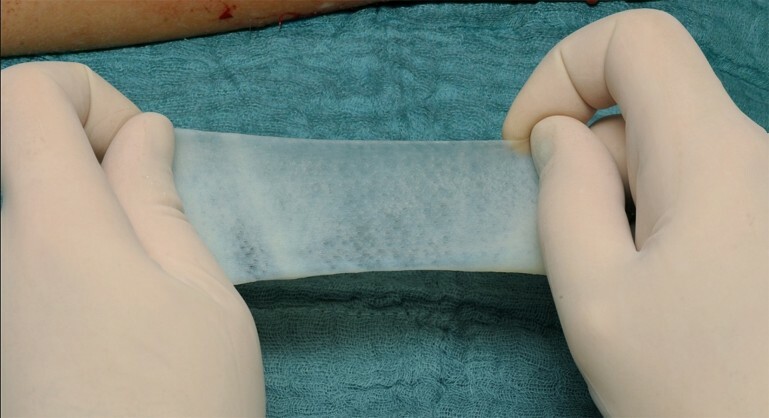 These cells (with the aid of the dressing) can be applied directly on to the burn wound, and can potentially reduce the healing period by half when compared to conventional healing times sustained by regular medical techniques. In terms of the technology’s working scope, the scientists were able to ‘grow’ the skin cells (keratinocytes) by first isolating them, and then synthesizing them into cultures. These lab-vetted cell colonies were then embedded onto the Epiderm-pro dressings. In essence, the covering of the burnt area by the dressing allows the cells to directly interact with the wound – which allows them to release protein substances that leads to healthy skin growth in the affected region. Beyond this direct application of cells, the other advantage of the Epiderm-pro dressing is its quality of biodegradability. In other words, the dressing can be left in its place (upon the wound), and it would automatically dematerialize after a certain period of time. This certainly eschews the need for dressing changing – a technique which is not only bothersome but can also negatively affect the healing process time. Finally, coming to the practical side of affairs, the Epiderm-pro has already been tested upon rabbits and mice with successful results. The next phase of the project obviously entails human-based testings, after which the commercial process can take off with the manufacturing scope to be handled by Rubio Pharma and Associates.